Last week, our LEADelaware class visited the Laurel Farmers’ Auction Market, a cooperative business located since 1940 in the western Sussex County town of Laurel, Delaware. I had heard about the place only recently. Gordon Johnson, UD Extension’s fruit and vegetable specialist held some workshops for local growers to raise awareness of the LFAM as a venue to market their produce. An array of fresh fruit and vegetables awaits! 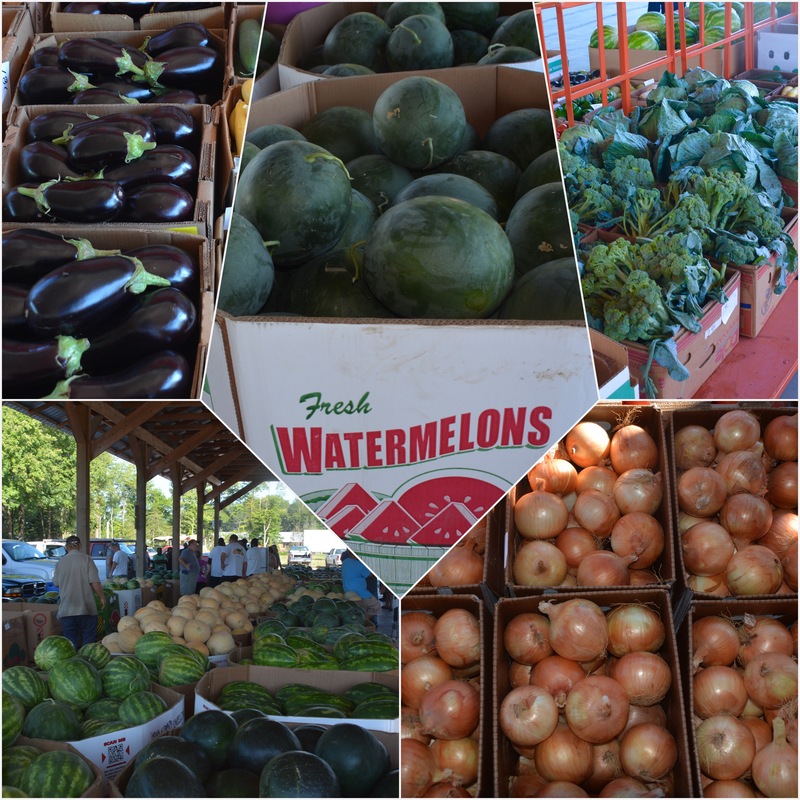 When we vistited in mid-August, Delmarva watermelons were at their peak production level. Large cartons of watermelons of all shapes and sizes, sat in large cardboard crates atop pallets ready to be auctioned off! Where will they end up? Likely in local, roadside produce stands or small, non-chain grocers. While most buyers and sellers come from the Delmarva region, the word “local” in this case can stretch to a radius of 450 miles. The LFAM sells $3 million annually (80 percent is in watermelons) and while the outside structures still beckon to the styles of the 1940s, the facility has modernized significantly with the ability to track by computer the farm origin of each box or bushel that arrives or leaves. Food safety and handling is a priority and the market has a convenient store to sell new boxes and baskets, which promote safe food transfer. The Laurel Farmers’ Market Auction is an informal and welcoming venue. 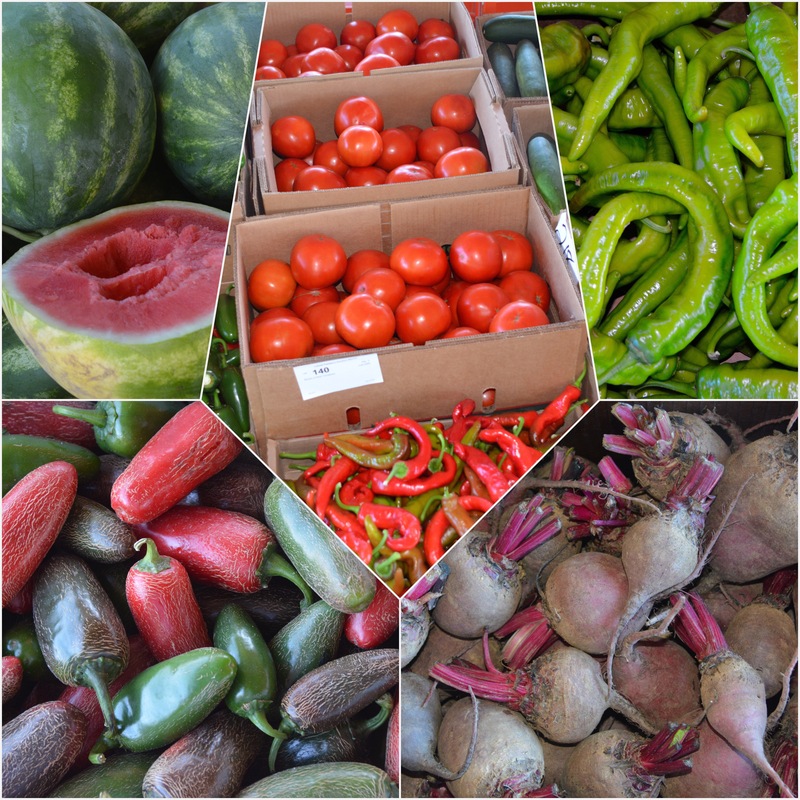 It is also a photographer’s delight and one can capture the colors, textures and diversity of our favorite fresh food. The camera, however, cannot capture the aroma of earth, fruits and vegetables that waft around under the open air pavilion. You have to experience that in person and I highly recommend the experience! They also have a Facebook page. What is under the open-air pavilion changes daily! Farmers! We want you on social media!